When I see Cape May’s wide beaches and brightly painted Victorian homes, I am reminded why I love coming here. It’s not just the beautiful scenery; it’s the feel of home and the warmth of the people that make this place unlike other beach resorts. 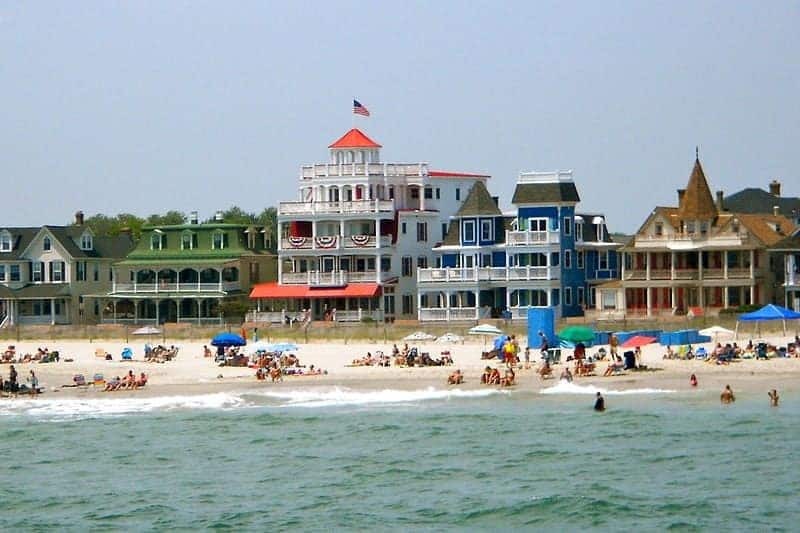 Cape May, 160 miles from New York City, is a beach resort at the southernmost tip of New Jersey. It attracted 87 million visitors last year alone, but you won’t find the likes of Snooki and her friends here. Bar scenes are subdued, and people don’t wear neon. To really understand its beauty, you need to hop back in time. Cape May began as a resort getaway for well-heeled people who arrived by steamer and stagecoach from Philadelphia and Baltimore. It grew with the introduction of the railroad, but its beautiful Victorian homes didn’t appear until after 1878, when a massive fire wiped out more than 30 blocks and forced the village to rebuild. Today the entire town, including its beachfront, is a designated National Historic Landmark. And while it has some of the best beaches in New Jersey, and arguably the East Coast, you don’t have to wait for the hot months of summer to take advantage of all it has to offer. In the past 10-15 years wineries have taken off in Cape May County. The effort began as a way to preserve the area’s farmlands, and it has grown. There currently are five vineyards in the area covering 17 square miles. On a recent visit we headed to two of them: Cape May Winery and Vineyard and Hawk Haven Vineyard and Winery. Each had something to offer, but Cape May Winery’s massive tasting room and its outdoor patio with a full view of the vines was something special. Hawk Haven, a 100-acre farm that has been with the Wuerker family since the 1940s, has a more intimate family feel. They pride themselves on teaching visitors about wines and how they pair with food. Another favorite for locals and visitors alike is looking for Cape May’s famous ghosts. “Behind every haunting there is a ghost, and behind every ghost is a story,” says Craig McManus, a medium and author of The Ghosts of Cape May. The town’s 400-year history attracts both the living and, some say, the dead. McManus says some ghosts stay behind because they seem to love Cape May. Others have had a tragic or quick death and are just not ready to leave this world. A number of tours offer visitors the chance to get up close and personal with its former residents and learn why they are said to be still hanging around. Be sure to peek inside the Queen Victoria Bed and Breakfast, which once was Dr. Ware’s Drugstore. In 1872, the home had a drugstore on the first floor, a brothel on the second floor and gambling on the third floor. For many years, McManus has sensed one or two female spirits in the building. Some patrons claim to have heard knocking on a door or witnessed the turning of a door handle with no one to be found. There’s also said to be a high concentration of spirits on Cape May’s main thoroughfare, Jackson Street. McManus state that, “It was the first path Native Americans took to the beach and the highest point in Cape May”. Many generations of visitors have walked this road, leading to its rich history. “Cape May has a positive energy. The dead stay because they seem to like it here,” McManus said. Cape May is well known for its seafood and top dining. Our family tradition is to head to The Lobster House to enjoy the waterfront Raw Bar. Don’t miss 410 Bank Street, where you can bring your own bottle and get a serving of Louisiana-style food. But this popular place is open only from May to mid-October. For a more upscale dining experience, book a table at The Washington Inn and savor its American fare. If you have a sweet tooth, you can head to Washington Street Mall and pick up an egg cream at Dellas 5 & 10 Soda Fountain. Cape May has much to offer during any season, but there still is nothing like its beaches. It’s even better knowing that you won’t be seeing Snooki.